By using this site and/or our service, you agree and consent to following our Terms and Conditions. If you do not agree to all of these Terms and Conditions of use, do not use this site! As a client you are required to agree with these terms in order to use our products and services. Premier Dental Associates, LLC (also known as Premier Dental Associates); may change and update these Terms and Conditions at any time. Your continued usage of the Premier Dental Associates, LLC web sites (including, but not limited to, Premier Dental Associates.com and any website designed by Premier Dental Associates, LLC) – referred here to as Premier Dental Associates, LLC Websites – will mean you accept those changes. Definition of Client: A client is any person or business entity that has placed an order for any of Premier Dental Associates, LLC services. Websites do not provide dental or medical advice. The contents of Premier Dental Associates, LLC websites such as text, graphics, images, information obtained from Premier Dental Associates, LLC licencors and other material contained on Premier Dental Associates, LLC websites (“Content”;) are for informational purposes only. The Content is not intended to be a substitute for professional dental advice, diagnosis, or treatment. Always seek the advice of your dentist or other qualified health provider with any questions you may have regarding a dental condition. Never disregard professional dental advice or delay in seeking it because of something you have read on the Site! If you think you may have a dental emergency, call your doctor or 911 immediately. Premier Dental Associates, LLC websites do not recommend or endorse any specific tests, dentists, products, procedures, opinions, or other information that may be mentioned on the Site. Reliance on any information provided by Premier Dental Associates, LLC employees, links on the site, or others appearing on the Site at the invitation of Premier Dental Associates, LLC, or other visitors to Premier Dental Associates, LLC websites is solely at your own risk. Furthermore, information added to Premier Dental Associates, LLC websites by its clients are added at the sole discretion of the clients and are the full responsibility of the said client. Premier Dental Associates, LLC does not accept any liability or responsibility on said content. We are committed to protecting the privacy of children. You should be aware that Premier Dental Associates, LLC websites are not intended or designed to attract children under the age of 13. Premier Dental Associates, LLC authorizes you to view a single copy of the material on the Premier Dental Associates, LLC websites solely for your personal, noncommercial use. Content and/or images on the websites designed by Premier Dental Associates, LLC are protected under copyright laws. Any special rules for the use of certain software and other items accessible on the Premier Dental Associates, LLC websites are incorporated into these Terms and Conditions by reference. 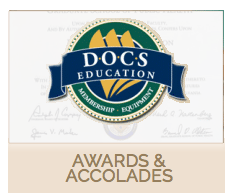 The fees charged to clients for membership and setup/design of websites do not provide any right of ownership to content, design elements and/or images and other material throughout the sites, unless permitted by written consent from Premier Dental Associates, LLC The Content is protected by copyright under both United States and foreign laws. Title to the Content remains with Premier Dental Associates, LLC or its licensors. Any use of the Content not expressly permitted by these Terms and Conditions is a breach of these Terms and Conditions and may violate copyright, trademark, and other laws. Content and features are subject to change or termination without notice in the editorial discretion of Premier Dental Associates, LLC websites. Domain names registered by Premier Dental Associates, LLC for its clients are legal property of Premier Dental Associates, LLC and are leased temporarily to clients. All rights not expressly granted herein are reserved to Premier Dental Associates, LLC and its licensors. If you violate any of these Terms and Conditions, your permission to use the Content automatically terminates and you must immediately destroy any copies you have made of any portion of the Content. A. The accuracy, reliability, completeness, currentness, or timeliness of the Content, software, text, graphics, links, or communications provided on or through the use of the Premier Dental Associates, LLC websites. B. The satisfaction of any government regulations requiring disclosure of information on prescription drug products or the approval or compliance of any software tools with regard to the Content contained on Premier Dental Associates, LLC websites. In no event shall Premier Dental Associates, LLC, its licensors, its suppliers, or any third parties mentioned on Premier Dental Associates, LLC websites be liable for any damages (including, without limitation, incidental and consequential damages, personal injury/wrongful death, lost profits, or damages resulting from lost data or business interruption) resulting from the use of or inability to use the Premier Dental Associates, LLC websites or the Content, whether based on warranty, contract, tort, or any other legal theory, and whether or not Premier Dental Associates, LLC is advised of the possibility of such damages. Premier Dental Associates, LLC is not liable for any personal injury, including death, caused by your use or misuse of the Site, Content, or Public Areas (as defined below). Any claims arising in connection with your use of the Site, any Content, or the Public Areas must be brought within one (1) year of the date of the event giving rise to such action occurred. Remedies under these Terms and Conditions are exclusive and are limited to those expressly provided for in these Terms and Conditions. You agree that you will not upload or transmit any communications or content of any type to the Public Areas that infringe or violate any rights of any party. By submitting communications or content to the Public Areas, you agree that such submission is non-confidential for all purposes. If you make any such submission, you agree that you will not send or transmit to Premier Dental Associates, LLC by email, (including through the email addresses listed on the “Contact Us” link) any communication or content that infringes or violates any rights of any party. If you submit any business information, idea, concept or invention to Premier Dental Associates, LLC by email, you agree such submission is non-confidential for all purposes. If you make any submission to a Public Area or if you submit any business information, idea, concept or invention to Premier Dental Associates, LLC by email, you automatically grant–or warrant–that the owner of such content or intellectual property has expressly granted Premier Dental Associates, LLC a royalty-free, perpetual, irrevocable, world-wide nonexclusive license to use, reproduce, create derivative works from, modify, publish, edit, translate, distribute, perform, and display the communication or content in any media or medium, or any form, format, or forum now known or hereafter developed. Premier Dental Associates, LLC may sublicense its rights through multiple tiers of sublicenses. If you wish to keep any business information, ideas, concepts or inventions private or proprietary, do not submit them to the Public Areas or to Premier Dental Associates, LLC by email. We try to answer every email in a timely manner, but are not always able to do so. Premier Dental Associates, LLC has several tools that allow you to record and store information. For example, these areas are structured to allow access only to visitors with a valid password. You are responsible for taking all reasonable steps to ensure that no unauthorized person shall have access to your Premier Dental Associates, LLC passwords or accounts. It is your sole responsibility to (1) control the dissemination and use of activation codes and passwords; (2) authorize, monitor, and control access to and use of your Premier Dental Associates, LLC account and password; (3) promptly inform Premier Dental Associates, LLC of any need to deactivate a password. You grant Premier Dental Associates, LLC and all other persons or entities involved in the operation of the Site the right to transmit, monitor, retrieve, store, and use your information in connection with the operation of the Site. Premier Dental Associates, LLC cannot and does not assume any responsibility or liability for any information you submit, including to Register to win, or your or third parties’ use or misuse of information transmitted or received using Premier Dental Associates, LLC tools and services, including Online Editor and Practice-Xl Online. If you use a Public Area, such as a chat room, bulletin board or community Ask a dentist, you are solely responsible for your own communications, the consequences of posting those communications, and your reliance on any communications found in the Public Areas. Premier Dental Associates, LLC is not responsible for the consequences of any communications in the Public Areas. In cases where you feel threatened or believe someone else is in danger, you should contact your local law enforcement agency immediately. If you think you may have a medical emergency, call your doctor or 911 immediately. In consideration of being allowed to use the Public Areas, you agree that the following actions shall constitute a material breach of these Terms and Conditions: Using a Public Area for any purpose in violation of local, state, national, or international laws; Posting material that infringes on the intellectual property rights of others or on the privacy or publicity rights of others; Posting material that is unlawful, obscene, defamatory, threatening, harassing, abusive, slanderous, hateful, or embarrassing to any other person or entity as determined by Premier Dental Associates, LLC in its sole discretion; Posting advertisements or solicitations of business; After receiving a warning, continuing to disrupt the normal flow of dialogue, or posting comments that are not related to the topic being discussed (unless it is clear the discussion is free-form); Posting chain letters or pyramid schemes; Impersonating another person; Distributing viruses or other harmful computer code; Harvesting or otherwise collecting information about others, including email addresses, without their identification for posting or viewing comments; consent; Allowing any other person or entity to use your identification for posting or viewing comments; Posting the same note more than once or “spamming”; or Engaging in any other conduct that restricts or inhibits any other person from using or enjoying the Public Area or the Site, or which, in the judgment of Premier Dental Associates, LLC, exposes Premier Dental Associates, LLC or any of its customers or suppliers to any liability or detriment of any type. Premier Dental Associates, LLC reserves the right (but is not obligated) to do any or all of the following: Record the dialogue in public chat rooms. Investigate an allegation that a communication(s) do(es) not conform to the terms of this section and determine in its sole discretion to remove or request the removal of the communication(s). Remove communications which are abusive, illegal, or disruptive, or that otherwise fail to conform with these Terms and Conditions. Terminate a user’s access to any or all Public Areas and/or the Premier Dental Associates, LLC websites upon any breach of these Terms and Conditions. Monitor, edit, or disclose any communication in the Public Areas. Edit or delete any communication(s) posted on the Premier Dental Associates, LLC websites, regardless of whether such communication(s) violate these standards. Premier Dental Associates, LLC reserves the right to take any action it deems necessary to protect the personal safety of our guests or the public. Premier Dental Associates, LLC has no liability or responsibility to users of the Premier Dental Associates, LLC websites or any other person or entity for performance or nonperformance of the aforementioned activities. Premier Dental Associates, LLC may provide links to third-party web sites. Premier Dental Associates, LLC also may select certain sites as priority responses to search terms you enter and Premier Dental Associates, LLC may agree to allow advertisers to respond to certain search terms with advertisements or sponsored content. Premier Dental Associates, LLC does not recommend and does not endorse the content on any third-party web sites. Premier Dental Associates, LLC is not responsible for the content of linked third-party sites, sites framed within the Premier Dental Associates, LLC websites, third-party sites provided as search results, or third-party advertisements, and does not make any representations regarding their content or accuracy. Your use of third-party web sites is at your own risk and subject to the terms and conditions of use for such sites. 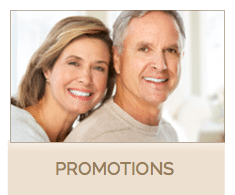 Premier Dental Associates, LLC does not endorse any product advertised on the site. One service of Premier Dental Associates, LLC is updating and changing websites and its content on clients’ behalf. Also, Premier Dental Associates, LLC offers access to a direct and live online editor that enables clients to update their websites with their material of choice. It is the responsibility of the client and/or its employees to make sure that the material submitted is original and/or the client does have permission to use it. Premier Dental Associates, LLC does not accept any responsibility as to review of such material for copyright issues. If Premier Dental Associates, LLC is informed by any third-party of copyright infringement and/or questionable material, Premier Dental Associates, LLC reserves the right to remove the material in question from our server. It is the responsibility of the client to resolve such complaints, objections and/or any legal action brought resulting from the use of such material. You agree to defend, indemnify, and hold Premier Dental Associates, LLC, its officers, directors, employees, agents, licensors, and suppliers, harmless from and against any claims, actions or demands, liabilities and settlements including without limitation, reasonable legal and accounting fees, resulting from, or alleged to result from, your violation of these Terms and Conditions. 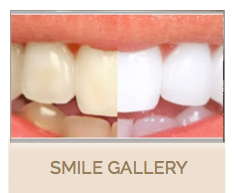 Premier Dental Associates, LLC is based in Irvine, California, in the United States of America. Premier Dental Associates, LLC makes no claims that the Content is appropriate or may be downloaded outside of the United States. Access to the Content may not be legal by certain persons or in certain countries. If you access the Premier Dental Associates, LLC websites from outside the United States, you do so at your own risk and are responsible for compliance with the laws of your jurisdiction. The following provisions survive the expiration or termination of these Terms and Conditions for any reason whatsoever: Liability, User Submissions, Indemnity, Jurisdiction, and Complete Agreement. You expressly agree that exclusive jurisdiction for any dispute with Premier Dental Associates, LLC, or in any way relating to your use of the Premier Dental Associates, LLC Websites, resides in the courts of the County of Orange, State of California and you further agree and expressly consent to the exercise of personal jurisdiction in the courts of the County of Orange in State of California in connection with any such dispute including any claim involving Premier Dental Associates, LLC or its affiliates, subsidiaries, employees, contractors, officers, directors, telecommunication providers, and content providers. These Terms and Conditions are governed by the internal substantive laws of the State of California, without respect to its conflict of laws principles. If any provision of these Terms and Conditions is found to be invalid by any court having competent jurisdiction, the invalidity of such provision shall not affect the validity of the remaining provisions of these Terms and Conditions, which shall remain in full force and effect. No waiver of any of these Terms and Conditions shall be deemed a further or continuing waiver of such term or condition or any other term or condition. Except as expressly provided in a particular “legal notice” on the Premier Dental Associates, LLC websites, these Terms and Conditions and the Premier Dental Associates, LLC disclaimer constitute the entire agreement between you and Premier Dental Associates, LLC with respect to the use of the Premier Dental Associates, LLC websites, and Content. Thank you for your cooperation. 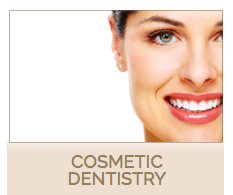 We hope you find the Premier Dental Associates, LLC websites helpful and convenient to use! Questions or comments regarding this website, including any reports of non-functioning links, should be directed by electronic mail or via U.S. mail to Premier Dental Associates at 895 Dove Street, Suite 300, Newport Beach CA 92660. We try to answer every email in a timely manner, but are not always able to do so.